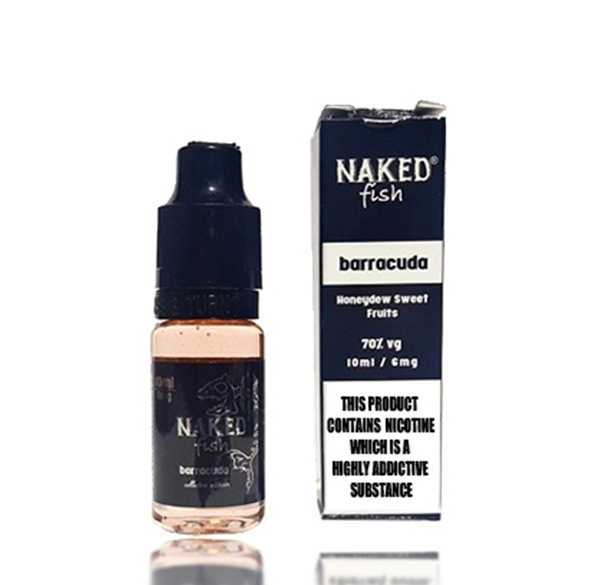 Naked Fish Barracuda V2.0 is a new enhanced version of what so many have come to love, Honeydew and Sweet Fruits. Barracuda features a lush honeydew and special unique mix of sweet fruits in a tropical medley that dances on your tongue. 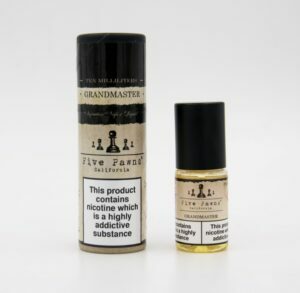 On the inhale you get that sweetness of the Honeydew & on that gradual exhale the fruit notes shout through leaving you ready for that next vape! Naked Fish E-liquid was crafted and perfected in California, New to the ocean but Naked Fish is already making a big splash. The company was created with the mod vapour in mind, offering big, big flavour and big, big clouds. All of Naked Fish Dripper E-liquids are handcrafted using the highest quality USP Kosher Food Grade Propylene Glycol and Vegetable Glycerin. The E-liquids are made with NicSelect Nicotine from an FDA inspected facility.